If you haven’t followed baseball’s Hall of Fame additions over the past couple of years, you haven’t missed out on much. Barry Larkin was Cooperstown’s lone 2012 class inductee, with only Jack Morris, Jeff Bagwell, and Lee Smith cracking the 50 percent* barrier that year. (Ron Santo was posthumously elected in 2012 via the Veterans’ Committee.) Last year, for the first time since 1996, no player was voted into the Hall by the Baseball Writers’ Association of America. *A player must receive 75 percent of the vote to gain election, and BBWAA members – some 600 of them — can pencil in a maximum of 10 players a year. Results will be announced on January 8, 2014. The lack of new Hall of Fame plaques hasn’t been due to a dearth of talent. Last year’s ballot included two all-time greats in Barry Bonds and Rogers Clemens, along with a laundry list of candidates ranging from the obvious to arguable. By my count, there were 14 reasonable Hall of Fame cases to be made last year, and that’s excluding BBWAA-favorites like the aforementioned Morris and Smith as well as fringe hopefuls like Fred McGriff or Bernie Williams. The Hall has always formed at a glacial pace. Even the initial 1936 class, which inducted a record five players (Ty Cobb, Honus Wagner, Babe Ruth, Christy Mathewson, Walter Johnson), left numerous inner-circle greats like Tris Speaker, Nap Lajoie, and Cy Young to wait another year for enshrinement. Since 1960, there have only been four years that have featured more than two BBWAA-elected players. With nobody going in last year and the additions of Greg Maddux, Tom Glavine, Mike Mussina, and Frank Thomas to an already crowded 2014 ballot, the logjam has gotten worse. With the strict 10-player maximum/75 percent rules still in place and 15-plus worthy candidates, the task of filling out a ‘correct’ ballot is nearly impossible. It won’t get any easier next year when Pedro Martinez and Randy Johnson highlight the eligible newcomers. It’s hard to feel too sorry for the writers, though, as the current state of the Hall of Fame voting is largely due to their collective failings. The system is plenty flawed itself, but any kind of logical voting process by a majority of the voters would help alleviate those issues. Instead, writers like Dan Shaughnessy routinely use the ballot as their own personal click-generating soap box, rekindling the long-extinguished “traditional stats vs. sabermetrics” debate and playing morality police in the steroids game. At its worst – and fortunately, most voters take the privilege more seriously than Shaughnessy – this is what the Hall of Fame voting has devolved into. What makes Shaughnessy’s ballot even more comical is that last year, as Jason Collette points out, he voted for Jack Morris, Curt Schilling, Tim Raines, and Alan Trammell. With five open slots left on his ballot this year, Shaughnessy mysteriously dropped two deserving candidates in Raines and Trammell without explanation. It’s hard to start a Barry Bonds-for-Hall-of-Fame discussion without mentioning steroids. In fact, it might be impossible. Bonds very likely used performance-enhancing drugs in the late-’90s/early-2000s, and it probably impacted his on-field performance in a positive way. What makes Bonds such a slam-dunk HOF candidate is that, prior to the suspected steroid usage, he was far and away the best player in the game. 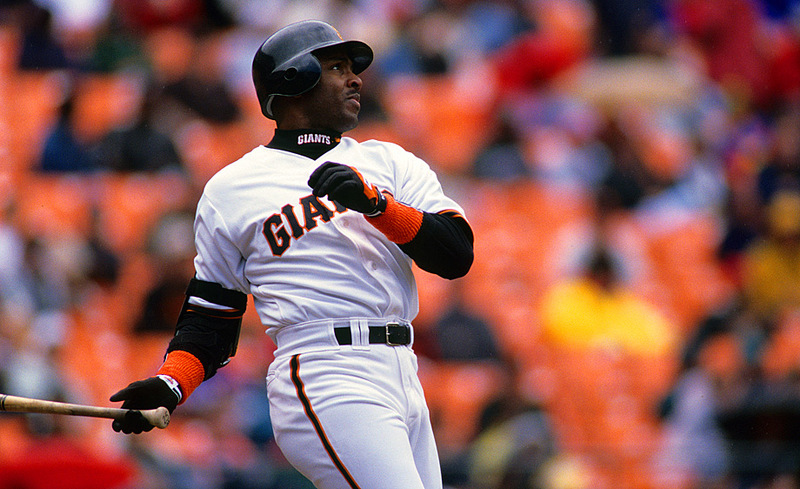 In the 1990s, Bonds hit a ridiculous .302/.434/.602 – 179 OPS+. He also stole 343 bases in the decade and was generally regarded as an excellent left fielder. By Baseball Reference’s WAR*, Bonds was nearly 13 wins better than Ken Griffey Jr. (79.9 to 67.4), his closest position-player competition of the ’90s. Roger Clemens, a pitcher, notched 68.4 WAR in the decade. The only hitters (not considering base running, defense, position, etc.) of the ’90s close to Bonds were Frank Thomas and Mark McGwire, and they were both lumbering first base/designated hitter types. Bonds, the pre-steroid version, was perhaps the most devastating iteration of a five-tool player we’ve ever seen, providing value in every facet of the game. *All WAR figures used in this article are from Baseball Reference; check out their explanation for details. In 2001, Bonds began a four-year run that saw him break MLB’s hallowed single-season home run record (73 in 2001) and hit .349/.559/.809 over 2443 plate appearances. Bonds was so feared by 2004 that he was intentionally walked 120 times. It was a level of offense we hadn’t seen before, one that other behemoths of the game like Babe Ruth or Ted Williams had never quite reached. Even in his final season at age-42, with his once great defensive ability and base running skills well behind him, Bonds bowed out as one of the best offensive forces in the game with a .480 on-base percentage. All of these late-career heroics, of course, were tainted by the ongoing PED scandal. There are players that should arguably be nudged out of the Hall thanks to PED usage; borderline players like McGwire or Sosa, maybe. Bonds isn’t one of those players, and keeping him out of Cooperstown would do more to send the Hall further into oblivion than it would preserve any remaining sanctity. Bonds received 36.2 percent of the vote last year, his first year on the ballot. Clemens picked up his first ERA title in the American League in 1986 (2.48) and in the National League in 2005 (1.87). In a video-gamers world, he was dominant from Nintendo through Xbox 360. Clemens combined durability and brilliance for the better part of his 24-year career, winning seven Cy Young awards (plus an MVP) while leading the league in ERA seven times (eight times in ERA+) and strikeouts five times. By WAR, Clemens is the third most valuable pitcher of all-time, behind Dead-Ballers Walter Johnson and Cy Young. He was third in WAR among pitchers in the ’80s (35.7), first in the ’90s (68.4), and 13th in the 2000s. Like Bonds, however, Clemens’ career has been marred by steroid allegations and a drawn out legal battle. Like Bonds, his credentials are too overwhelming to keep out of Cooperstown, whether his late-career was ‘roid-aided or not. Clemens received 37.6 percent of the vote last year, his first year on the ballot. Maddux could easily lay claim to pitcher of the 1990s, with only Clemens besting him in WAR (68.4 to 65.4). Maddux had a better ERA+ than both Clemens and Pedro Martinez (and everyone else), not to mention he threw more innings than anyone in the decade. Maddux had a seven-year stretch from 1992 to 1998 where he posted a 2.15 ERA over 226 starts. In the strike-shortened years of 1994 and 1995, Maddux went 35-8 with a 1.60 ERA while completing 20 of the 53 starts he made. Maddux is a top ten pitcher all-time and his efficiency on the corners of the strike zone are the lasting image of the Atlanta Braves dynasty. This is Maddux’s first year on the ballot. Perhaps it’s a little too easy to forget about Bagwell in the ’90s. There was the all-around brilliance of Bonds, the high-flying histrionics of Griffey Jr., and the McGwire-Sosa home run bouts. 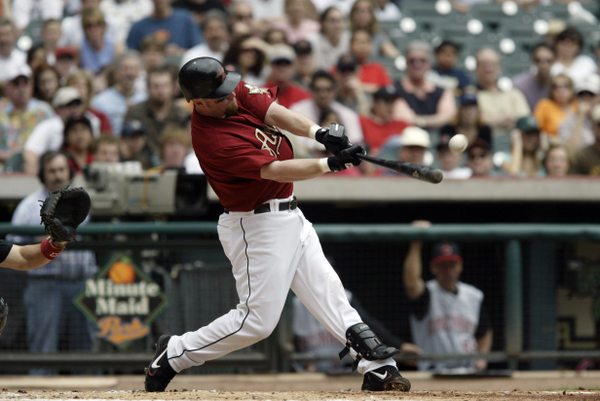 Then there was Bagwell, year-in year-out, popping 30 or 40 homers, hitting .300, and posting .400-plus OBPs. Bagwell finished third in the decade in WAR (56.7), behind only Bonds and Griffey, and fourth in OBP (.416). He was also a pretty slick fielder and, for a first basemen, a well-above average base runner. He was twice a member of the 30-home run/30-steals club. Bagwell’s best season came in the strike-shortened 1994, where he hit .368/.451/.750 and blasted 39 home runs in just 110 games. That’s probably unfortunate, at least in terms of Bagwell’s fame, because nobody wants to remember 1994. Bagwell’s career was also relatively short, by HOF standards, spanning just 15 seasons. However, he was generally healthy throughout and had a very mild decline phase, with his only below average work coming in his final campaign. Bagwell received 59.6 percent of the vote last year, his third year on the ballot. Similar in overall value to Bagwell, Thomas ranks as one of the best players of the 1990s and continued as a highly productive player well into the next decade. 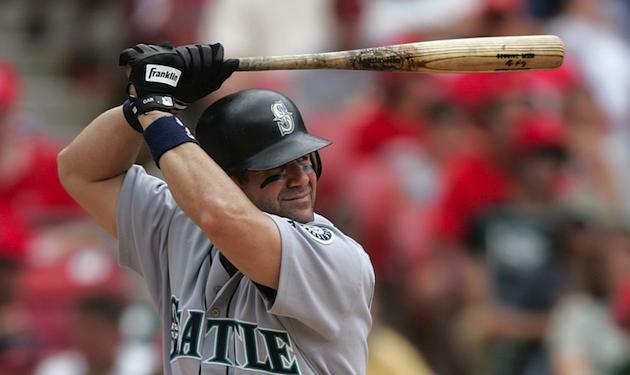 Unlike Bagwell, Thomas wasn’t an asset in the field or on the bases, but he was extremely patient and he ripped 40-plus home runs five times. Thomas’ .419 on-base percentage ranks 20th all -time and his 73.6 career WAR ranks 9th among first basemen. Thomas is in his first year on the ballot and — with his outspoken stance on PEDs — has a chance for first-ballot enshrinement. This is Thomas’ first year on the ballot. Schilling has one of the most impressive playoff resumes of all-time, posting a 2.23 ERA and a 4.80 strikeout-to-walk ratio in October. After pitching for a generally poor Phillies teams throughout the 1990s, Schilling won three World Series titles in his final seven season with Arizona and Boston. Unlike fellow Hall hopeful Jack Morris, however, Schilling doesn’t need Bloody Sock heroics to justify a trip to Cooperstown. Schilling’s career 79.9 WAR rank well-above the Hall threshold and his 127 ERA+ matches or bests no-doubt Hall of Famers like Bob Gibson, Jim Palmer, and Juan Marichal. Schilling was a great pitcher with the Phils in the ’90s, but his late-career 2001-2004 spike – 31.4 WAR, 150 ERA+, three-time Cy Young runner-up, plus playoff heroics – ultimately give him the Cooperstown nod. Schilling received 38.8 percent of the vote last year, his first year on the ballot. On September 2, 2001, during his first season with the Yankees, Mike Mussina was one pitch away from throwing a perfect game against the Red Sox in Fenway Park. Carl Everett flared a single into shallow left field, simultaneously ending Mussina’s perfect game and no-hit bid, while providing a microcosm for Mussina’s career. Mussina was really good, but could never quite grasp what we might traditionally define as pitching greatness. Despite playing on a perennially contending Orioles team in the ’90s and the mighty Yankees after that, Mussina never captured a World Series title. He didn’t notch a 20-win season until his final campaign, though he won 18 or 19 five times and at least 15 11 different times. He never led the league in any particularly relevant stat and he finished in the top three in the Cy Young Award just once (a distant second to Pedro Martinez in 1999). Mussina was always overshadowed; Clemens through most of his career, Pedro Martinez in the late-’90s, Cliff Lee and Roy Halladay later on. Still, Mussina was there, rarely missing a start, providing well-above average performance throughout his 18-year career. Mussina’s Hall credentials put him right in line with the likes of Schilling and Tom Glavine, even if his career doesn’t come with quite the same amount of glamour. This is Mussina’s first year on the ballot. Glavine is similar to Mussina in a lot of ways. He was always overshadowed by the truly dominant pitchers of the era, particularly Braves’ teammate Greg Maddux. And, like Mussina, Glavine was supremely durable without being overly flashy, posting a career strikeout-to-walk ratio of just 1.74. Unlike Mussina, however, Glavine was able to hit the 20-win threshold five times and rack up 300 career victories. He also picked up Cy Young hardware twice and won a World Series. Those milestones make him a sure-fire Hall of Famer, despite the fact that Mussina was probably a little better on the mound, inning for inning. That isn’t a knock on Glavine who, were it not for the 1994-95 strike, would have reached 30-plus starts in 18 consecutive seasons. Mussina was just damn good. This is Glavine’s first year on the ballot. Piazza’s Hall of Fame case largely comes down to positional scarcity. Good hitting catchers are hard to come by, and Piazza is easily the best hitting catcher of all-time. In 1997, Piazza’s best offensive season, catchers hit a collective .264/.329/.413 while Piazza hit .362/.431/.638 en route to his second straight MVP runner-up. Piazza’s raw hitting stats are possibly Hall-worthy to begin with; a .308 batting average, a .922 OPS, 427 home runs. The fact that he did that as a catcher – not a particularly good defensive one, mind you – make his Cooperstown call obvious. Piazza received 57.8 percent of the vote last year, his first year on the ballot. Arguably the most underrated hitter of his time, Martinez’s 51.5 WAR rank him seventh overall in the 1990s, behind Bonds, Griffey, Bagwell, Biggio, Thomas, and Larkin and ahead of guys like Larry Walker and Mark McGwire. His .430 OBP ranked third in the decade and his overall .418 mark puts him 21st all-time, just behind Frank Thomas. Martinez was primarily a designated hitter for the final 10 seasons of his career, and you could penalize him for that. (WAR already does, of course.) If you’re able to get past the DH stigma, Martinez starts to look Hall worthy. Like Bagwell, Martinez was essentially at the top of his game for his entire career and though it wasn’t particularly long, he packed a lot of value into each plate appearance. Martinez received 35.9 percent of the vote last year, his fourth year on the ballot. Apologies to: Craig Biggio, Jeff Kent, Alan Trammell, Larry Walker, and Tim Raines. Borderline candidates: Rafael Palmeiro, Mark McGwire, Sammy Sosa. Missed the cut: Fred McGriff, Jack Morris, Lee Smith. With respect for The Chiefly’s bandwidth and your eyeballs, I’ll spare you my thoughts on those that just missed my make-believe ballot, noting just that the “apologies to” category features players I would vote for if not for the 10-man limit. Jack Morris’ candidacy might deserve an entire article (plenty have been written), but anti-Hall of Fame campaigns just aren’t that fun. Rich Lederer’s long-running, eventually successful Hall campaign for Bert Blyleven was great, but it’s much tougher to spew out thousands of words on why some guy shouldn’t make Cooperstown. In short, Morris’ Hall case relies largely on one memorable 10 inning World Series start and the idea that the 1980s wasn’t a great decade for pitchers. Morris just wasn’t that good, and it takes a good deal of revisionist history to make a strong case for his enshrinement. Over the next few years, we’re likely to see some changes to the Hall of Fame voting process. The current crop of gatekeepers combined with the archaic election rules have done a poor job electing the right players and eventually something has to give, lest the Farmers’ Museum vault to top Cooperstown attraction. Getting rid of the 10-player maximum and/or lowering the 75 percent threshold might help, just as reshaping the eligible group of voters could do wonders. Until those changes are made, though, hopefully the voters realize how important a role they’ve inherited because deep down in our baseball-loving hearts, we still care far too much about Cooperstown.